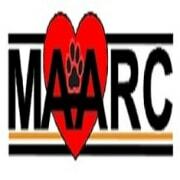 Maryville / Alcoa Animal Rescue Center, (MAARC) is an animal rescue group. Our mission is to rescue animals in danger of being euthanized in our local shelter, with a purpose of creating a safe, no kill community and eventually advancing animal welfare for animals in surrounding county shelters or beyond. MAARC is extremely fortunate to partner with the Maryville City Shelter. The shelter staff and animal control officers work cohesively with our group to get animals adopted directly from the shelter. Our Facebook page and any other social media avenue, is a critical piece of finding our animals permanent homes or foster homes. Look for us in the near future on petfinder.com and other adoption websites. We are currently developing a website, as well as other programs within our organization. Please like our Facebook page, share the animals, and stay tuned for current and future events! As a group of citizens living in Maryville and Blount County, concerned about the welfare of animals, understanding the opportunities and challenges facing animals in our community and wanting to make a difference, we have formed MAARC or Maryville / Alcoa Animal Rescue Center. We plan to develop a volunteer program that will be both enriching for the volunteers as well as the animals. It will require an application, orientation, a conversation to decide where volunteers are best suited, and development to help them grow and become integral members of our staff. Volunteers help spread awareness of our rescue’s missions and goals, and positively represent our beliefs and philosophies. This starts by reaching out to our neighbors, the many remarkable private animal shelters, rescue organizations, veterinarians, and boarding facilities here in Maryville and even beyond. We have already made connections with several groups and are receiving very positive feedback because they too know our City, our citizens and our animals are better served when we work together. Join us and elevate a no kill shelter to a no kill community! Would you recommend MARYVILLE ALCOA RESCUE CENTER MARC INC?